Base Flexibility design provides maximum sealing effect regardless of surface profile and pipe location. 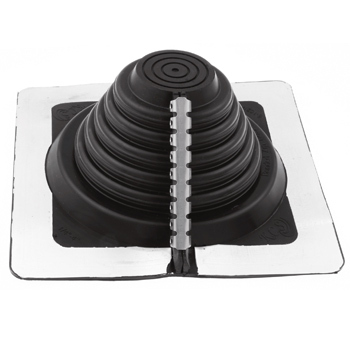 Absorbs shock and vibration caused by pipe shock or movement and reduces noise. 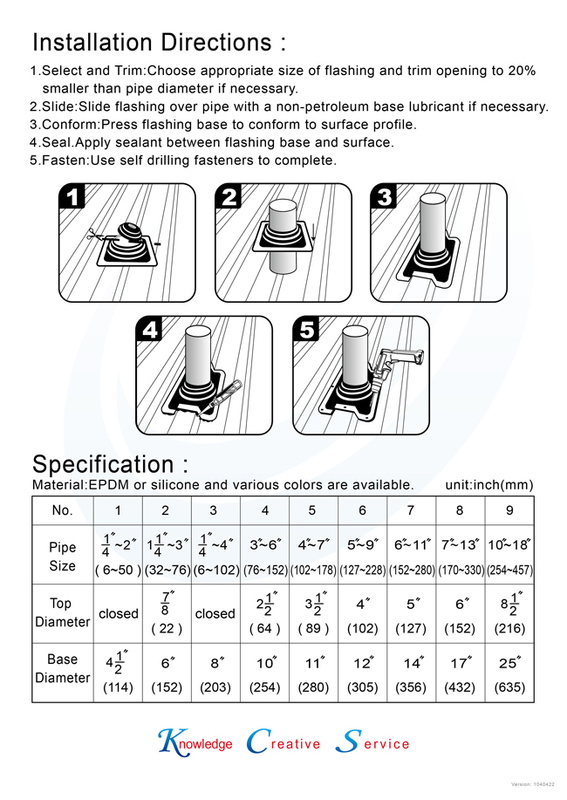 Funnel shape design for various pipe diameter and easy installation. There are 3 new specs for Bonded Zip-Flashing® ; It's No3, No5 and No7.